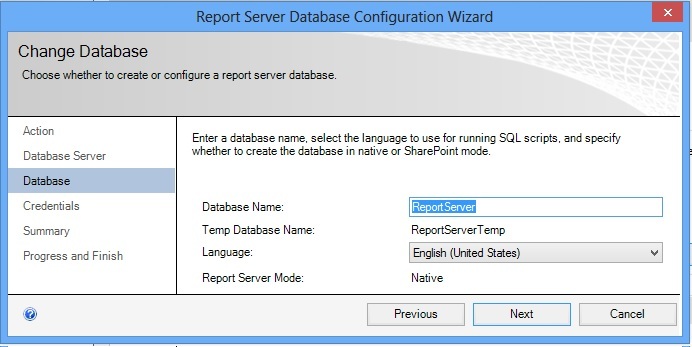 So far, we have learnt about the features of SSRS over other existing Reporting tools. 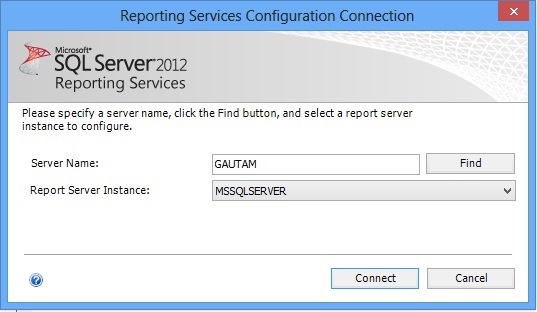 In this tutorial, we will install the SSRS Report server and configure it on our local machine. 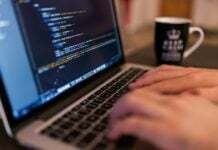 SQL Server possesses an inbuilt feature, called SSRS. 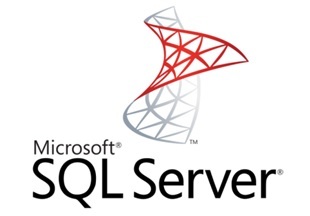 To us SSRS reporting on your system, you need to install the SQL Server on your machine. 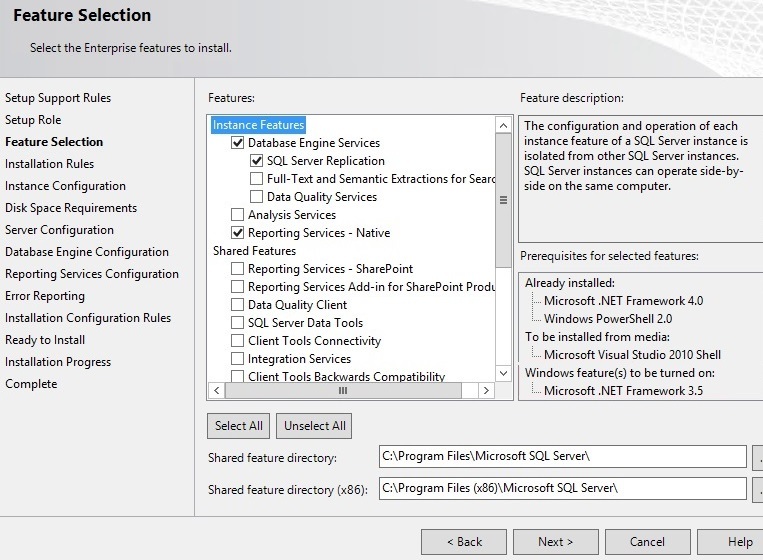 During installation of SQL server, it will ask for various configuration options for the product feature that you may opt for. 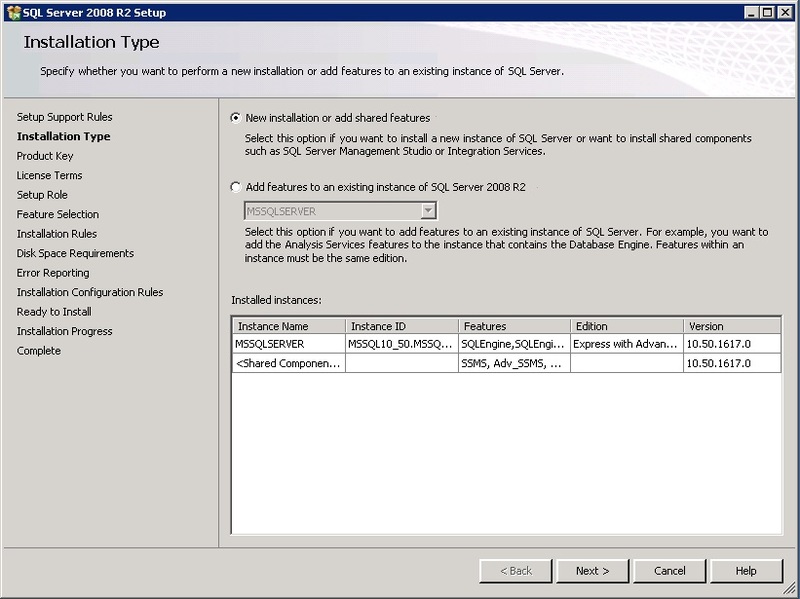 Either you may add the SSRS feature to an existing Instance of SQL server or on a New SQL server Installation. In the following dialog, box you can see both the options. After you select the option, click on the next button for the proceeding dialog boxes. 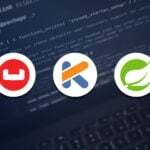 At the end, you will get a Succeeded status message for completion. You have completed the SSRS installation. 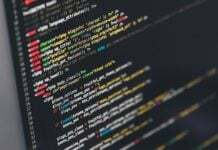 Now, you need to configure it on the Server. 1. 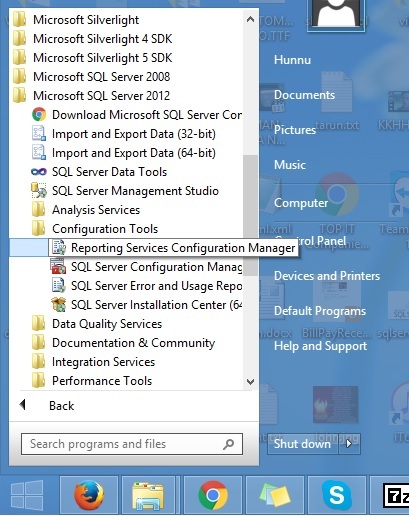 Click on Microsoft SQL Server 2012 Program Folder from the Start Menu. 2. Click on the connect button. 3. 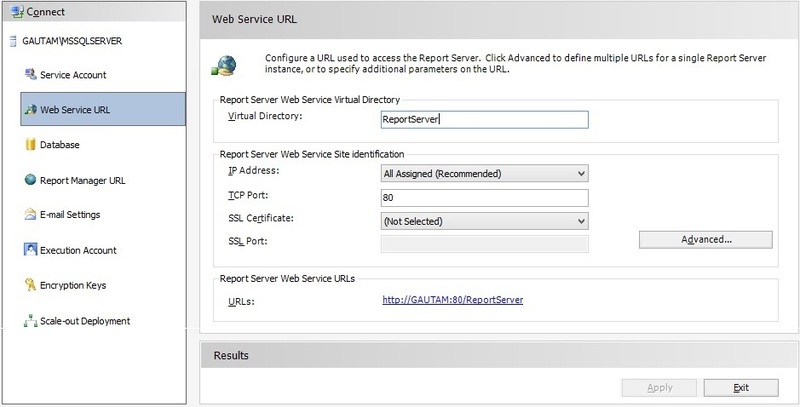 Click on Service Account option in the Left pane, here you have the option for choosing a built-in account or windows domain user account to use the Report Server Service. 5. 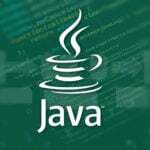 The option Database, is for the Report server database. 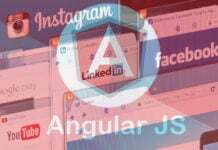 It is used for Meta data of reports. Click Change Database button on right pane and another window will open. 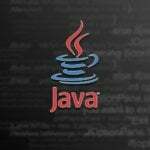 You may opt for either an existing database or create a new database, then click on next. 6. Now, enter the database server name which you want to connect to, and then click on next button. 7. 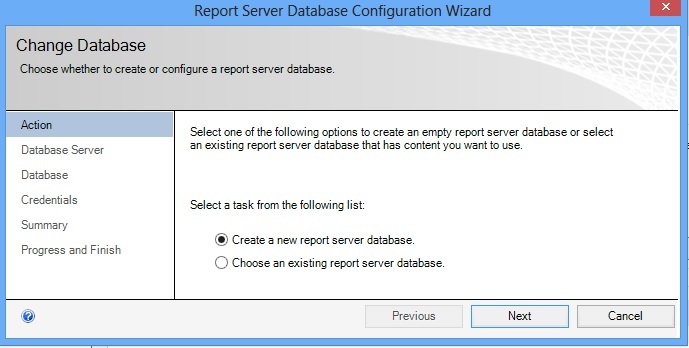 Now, you have to enter a name for the Report Server Database that will be used for storing Meta Data for the Report Server. After selecting the appropriate options that you need, click on the Next button. 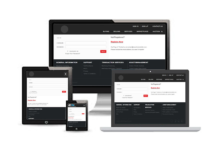 The Report database will be created. 8. 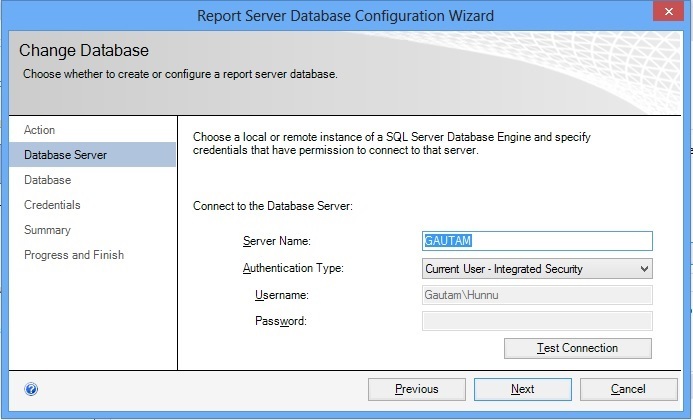 You may check your Report server database in the SQL Server IDE, as shown below. 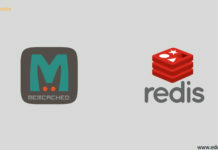 Now, you are almost done with all the needed basics for starting to your SSRS sever. 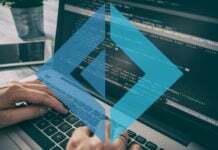 In this blog we have learned to Install SSRS Reporting Server and Configuring the SSRS Report Server first time. 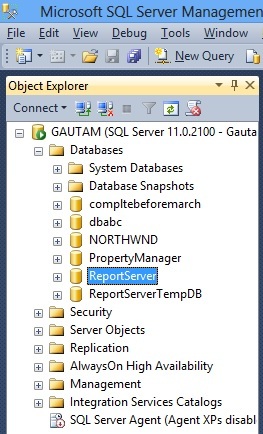 In the next blog, we will create the first SSRS report and also learn how to deploy it to the Report server.